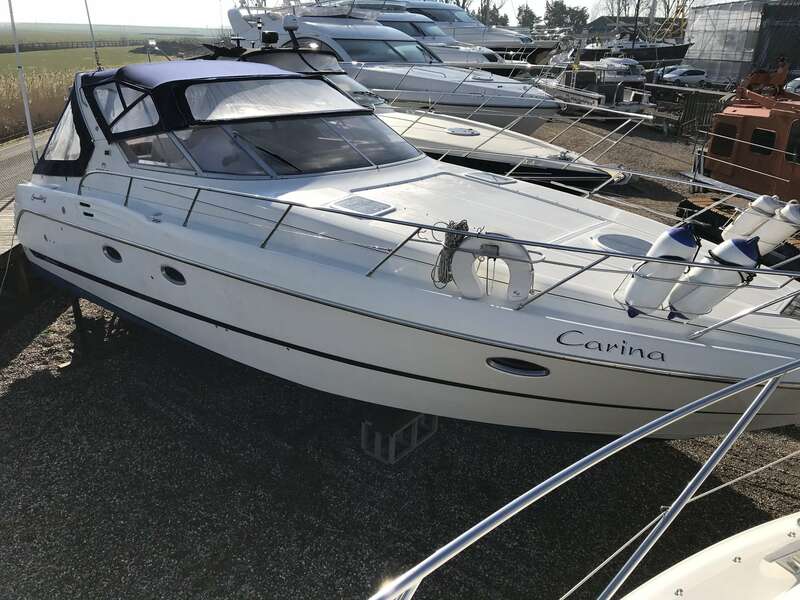 2003 Cranchi Smeraldo 37.Fitted with twin Volvo Kad 300's (285HP) with approx 700 hours. 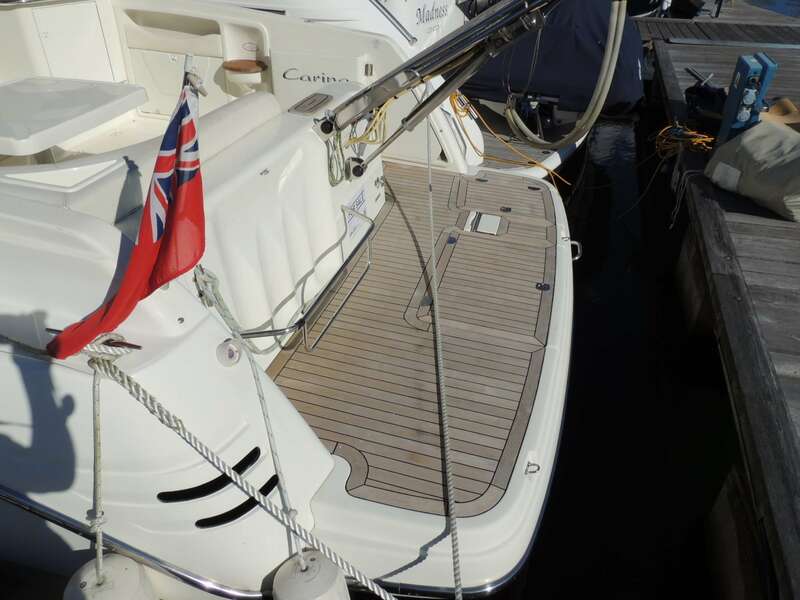 A Beautiful example of a well specced and well cared for Cranchi. 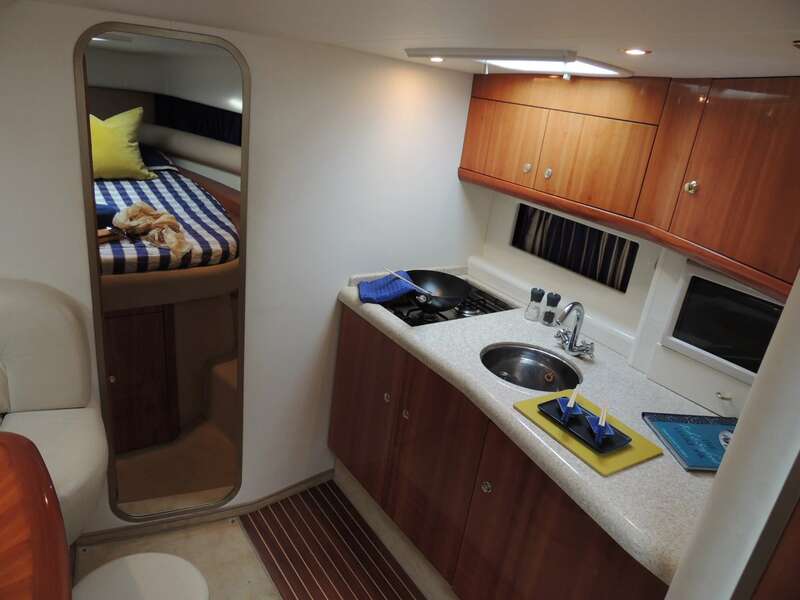 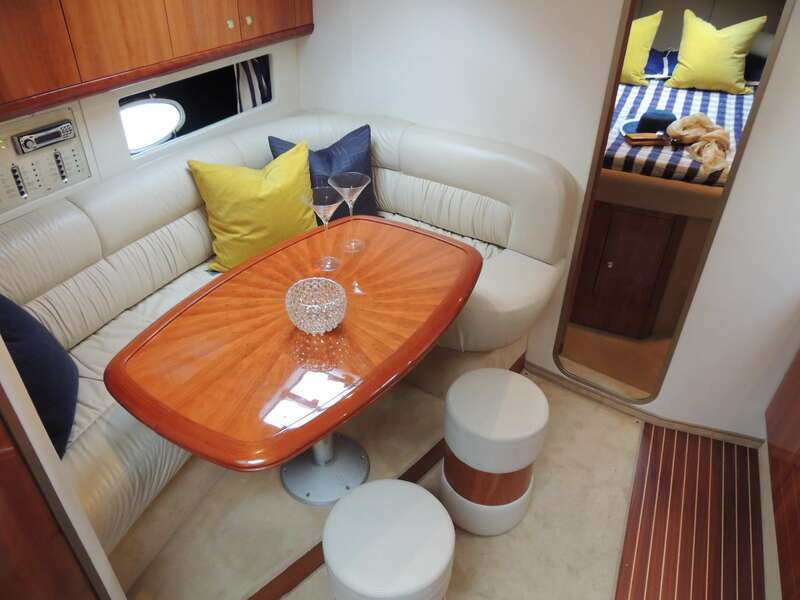 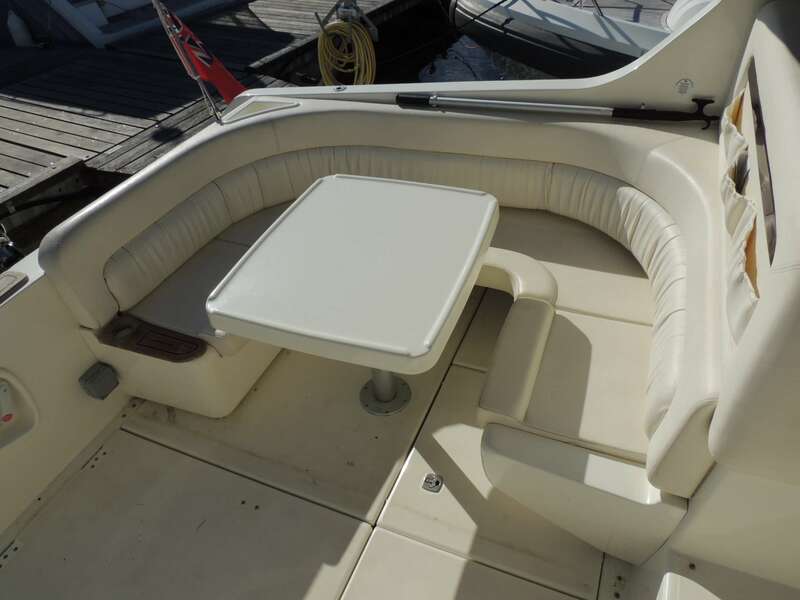 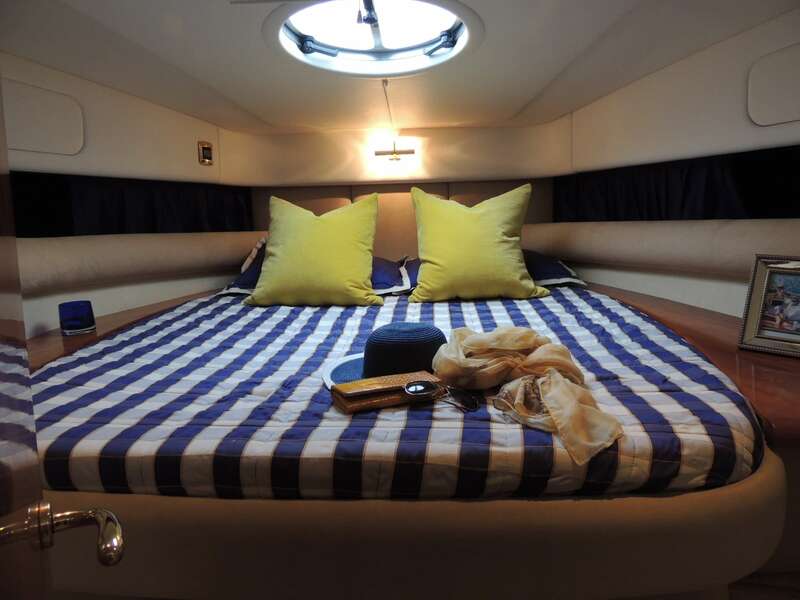 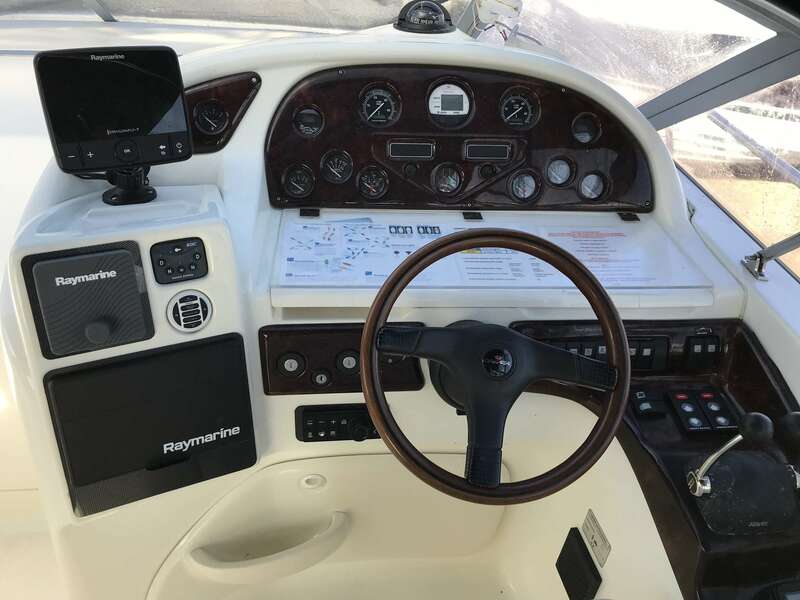 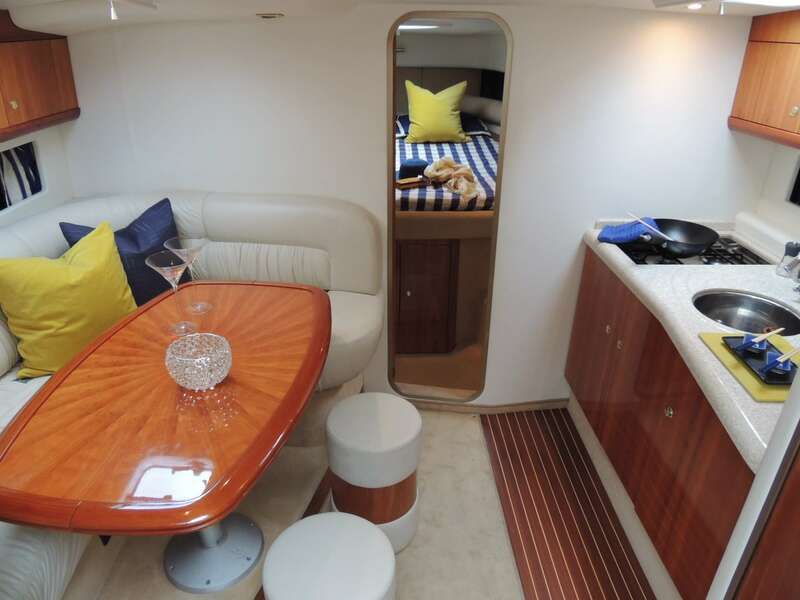 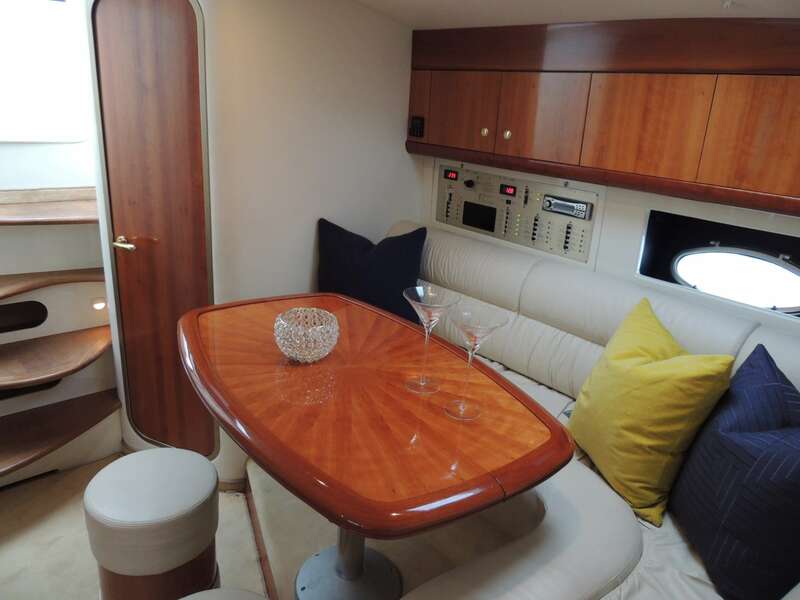 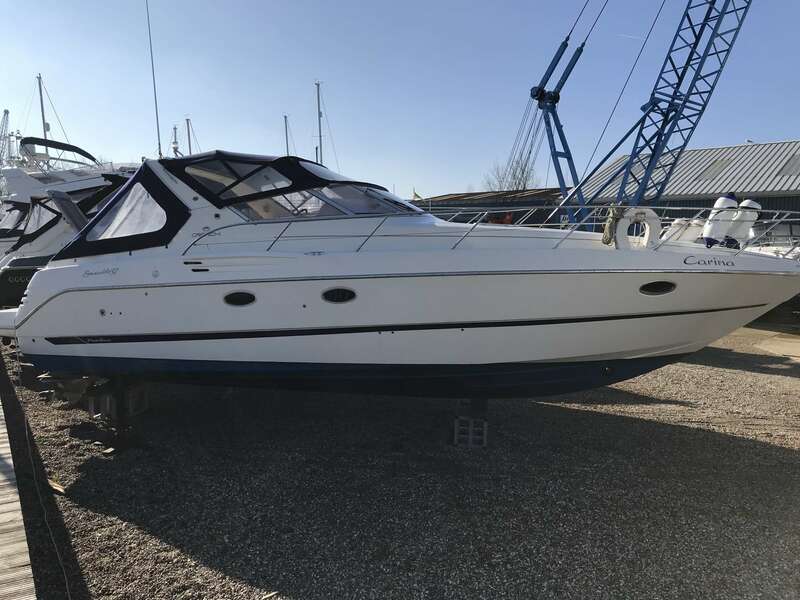 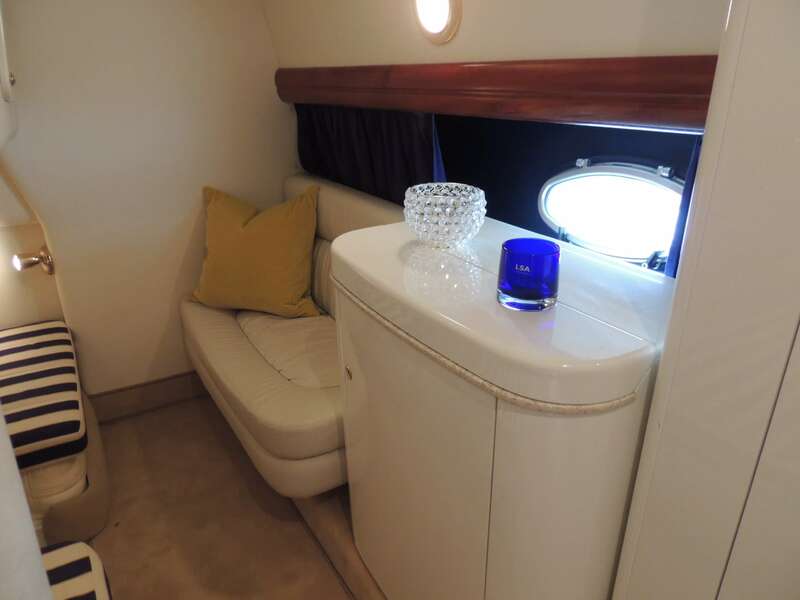 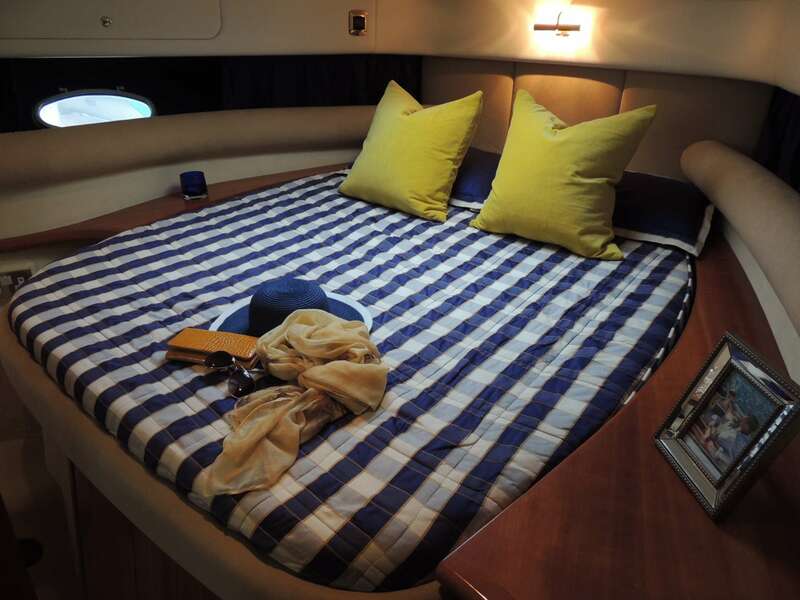 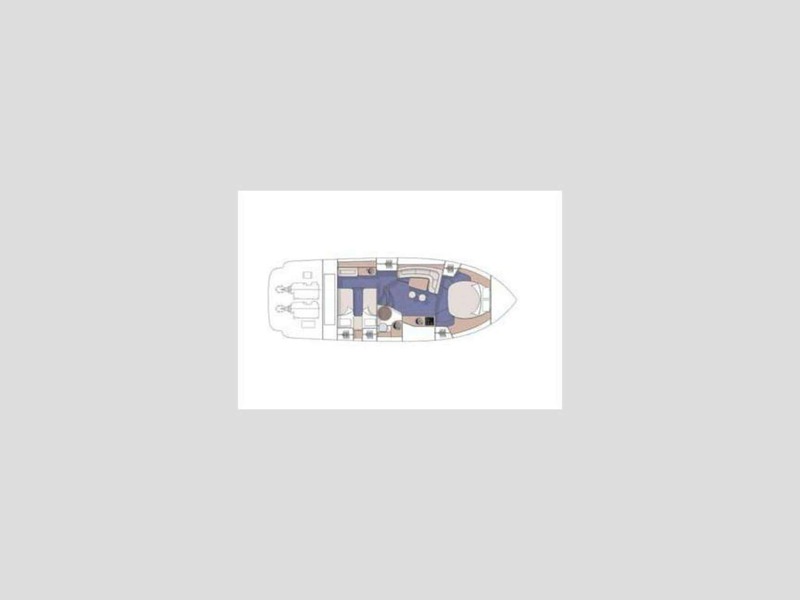 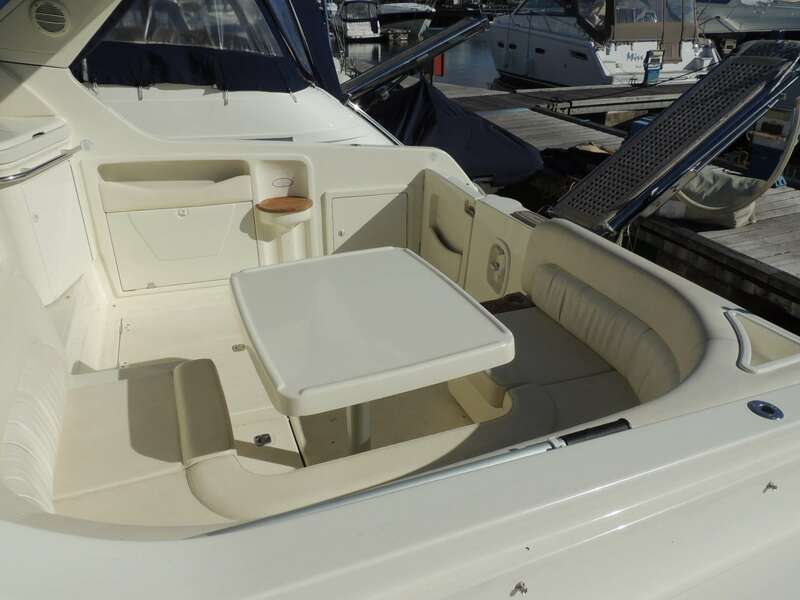 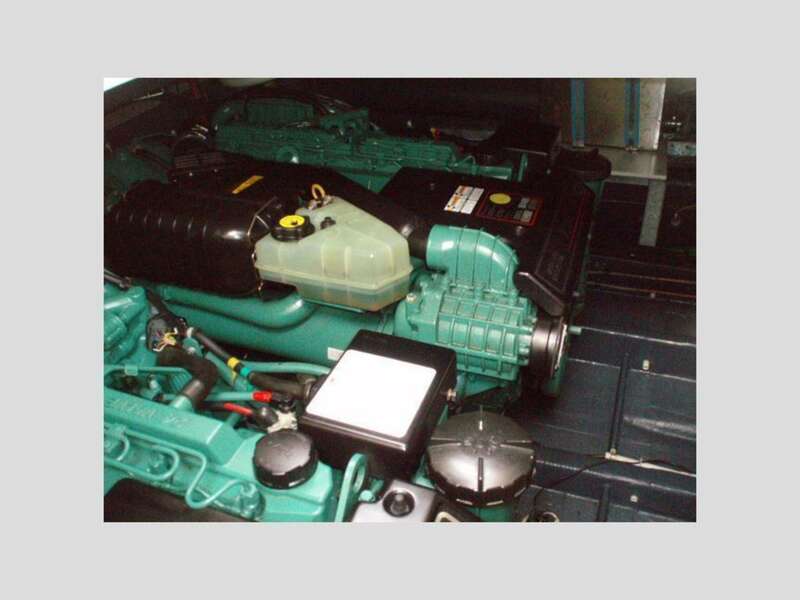 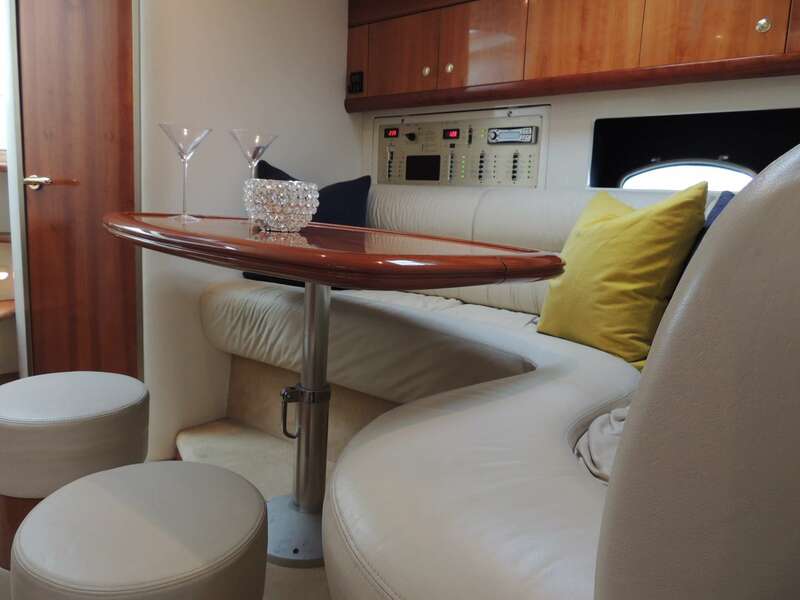 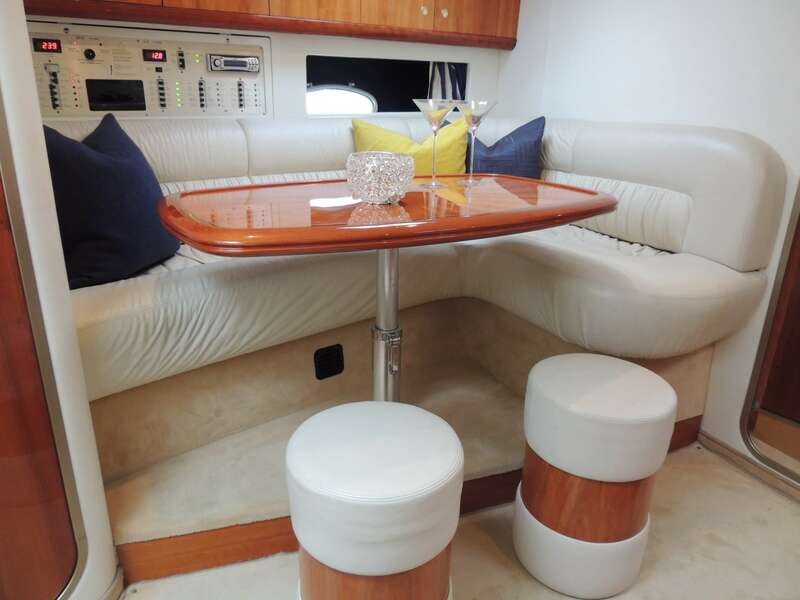 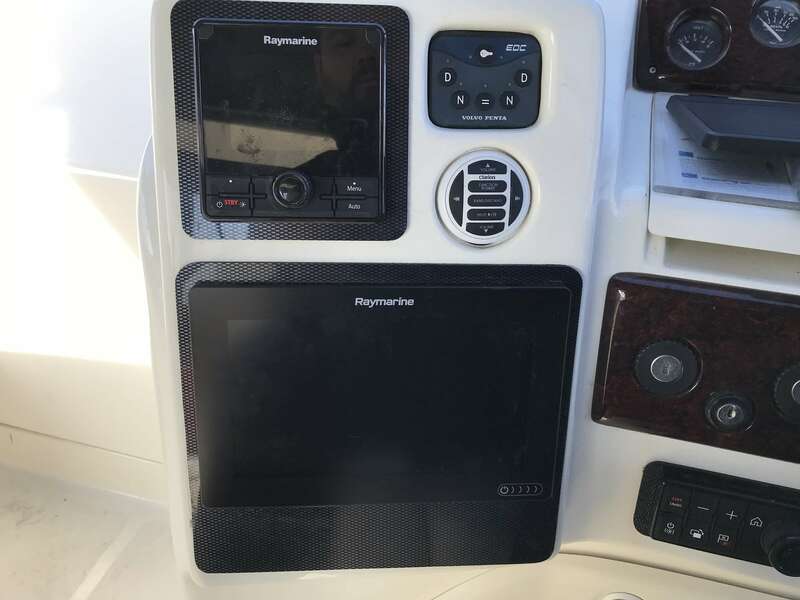 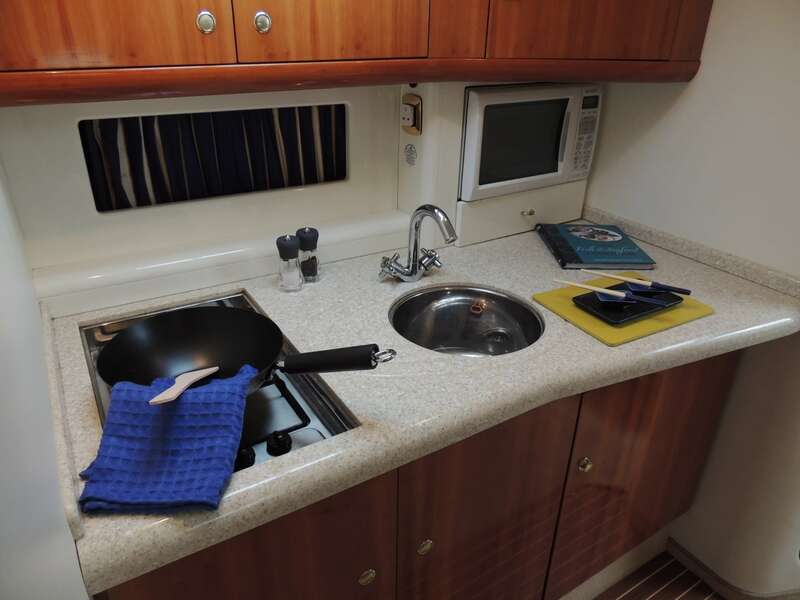 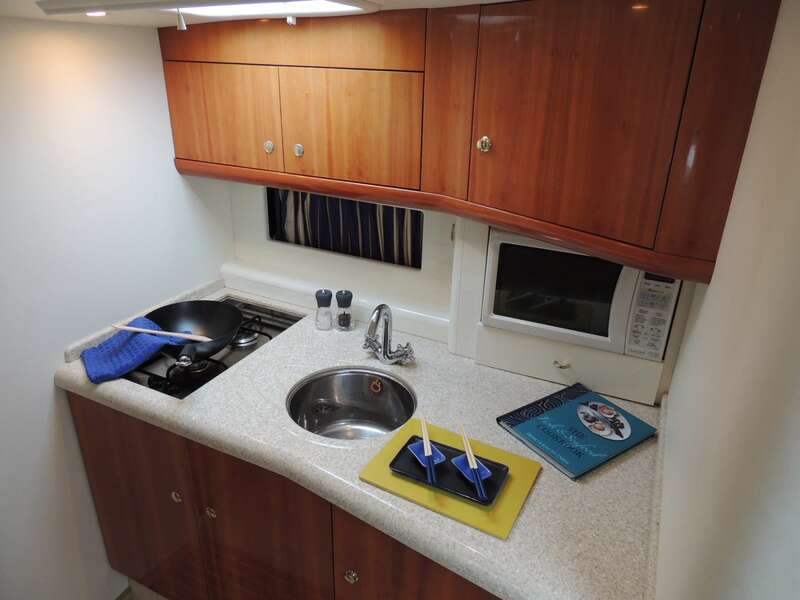 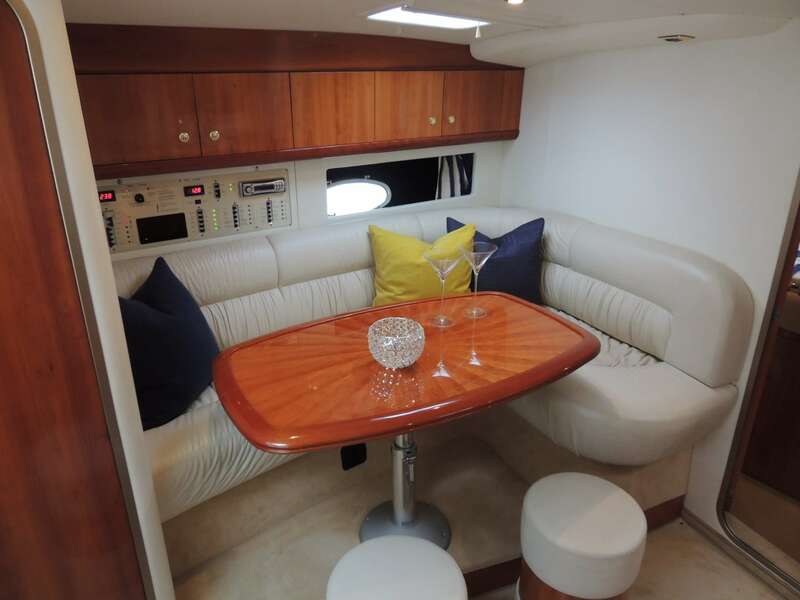 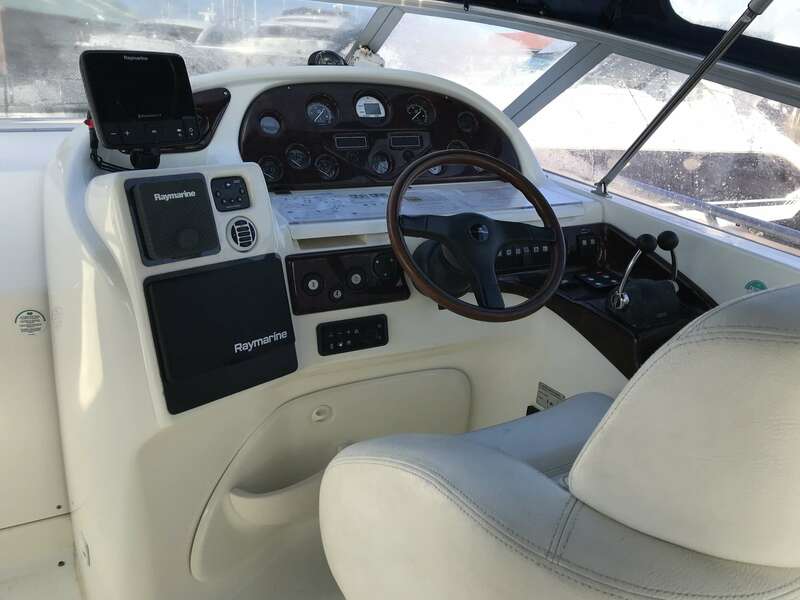 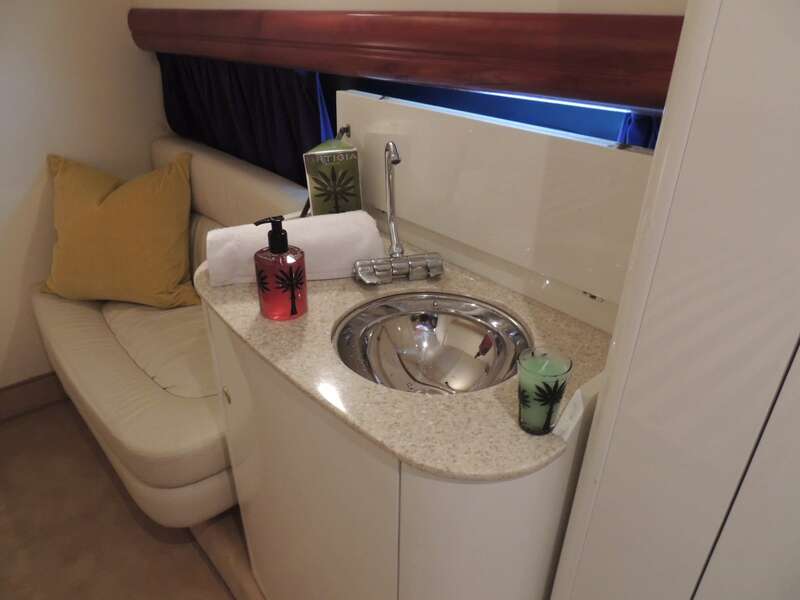 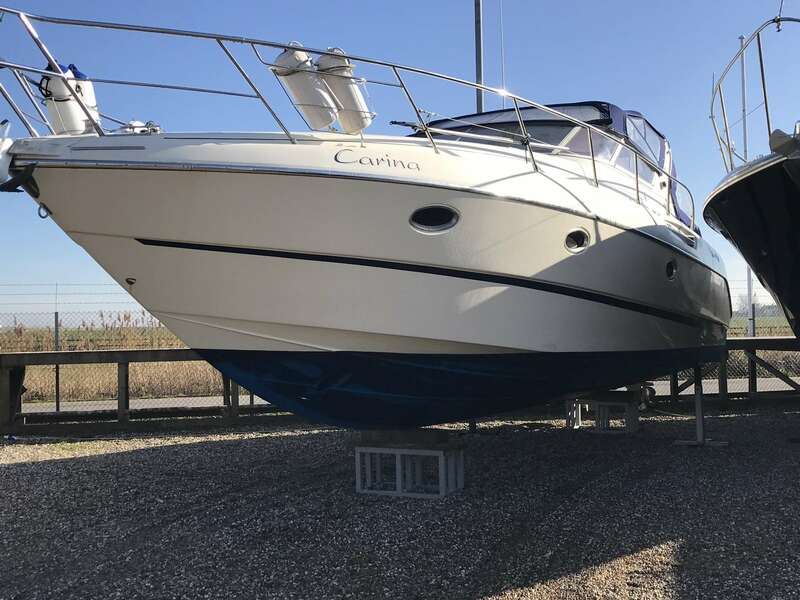 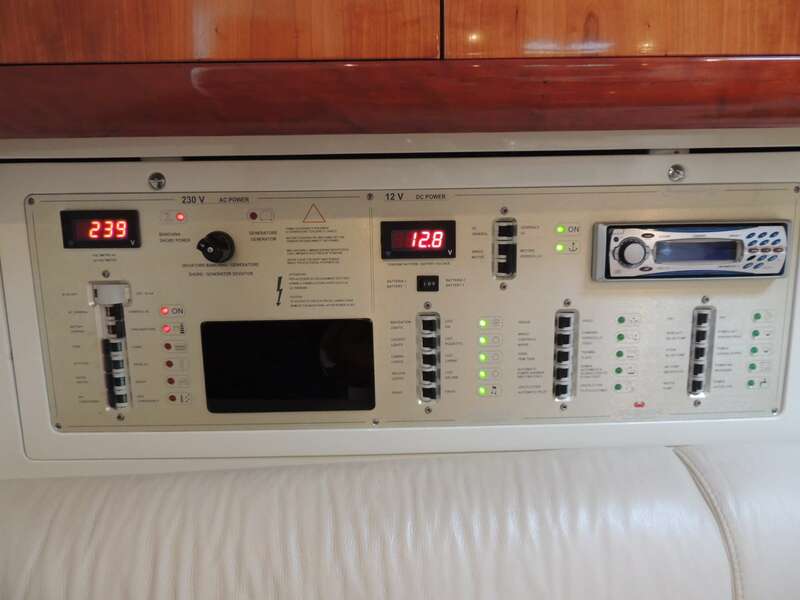 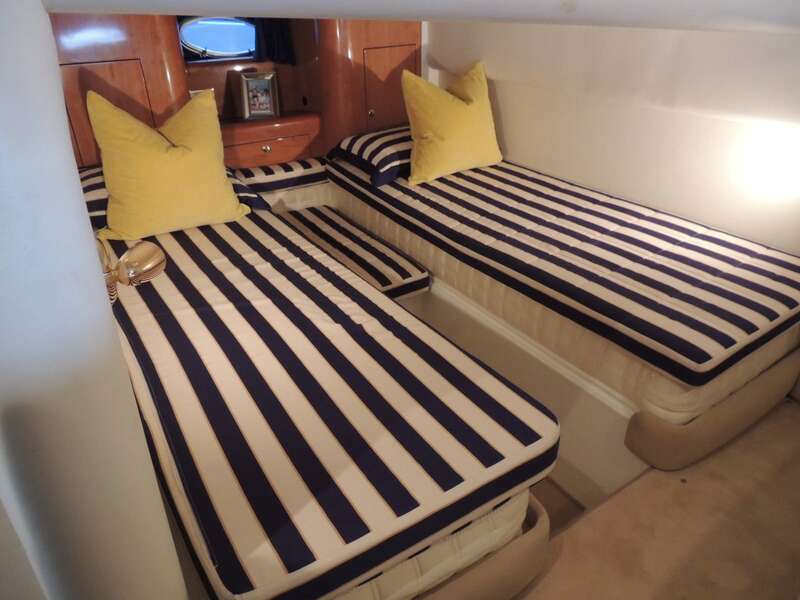 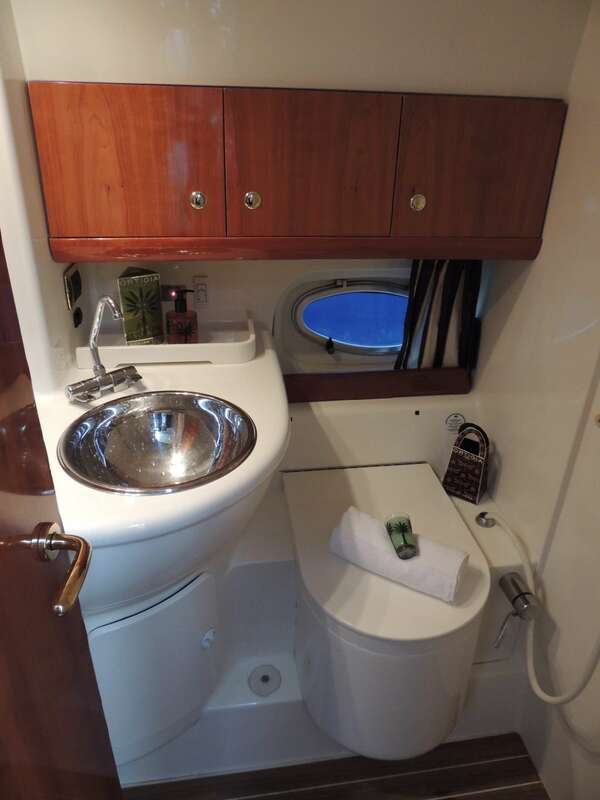 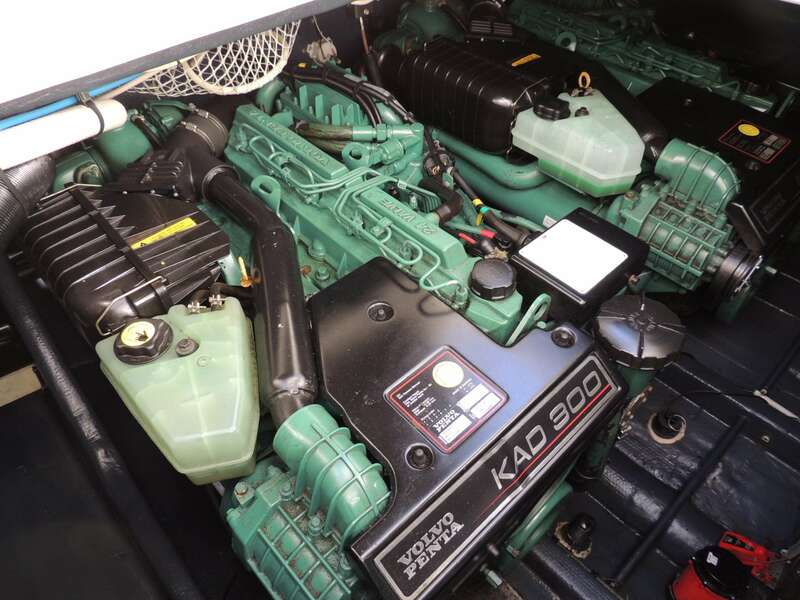 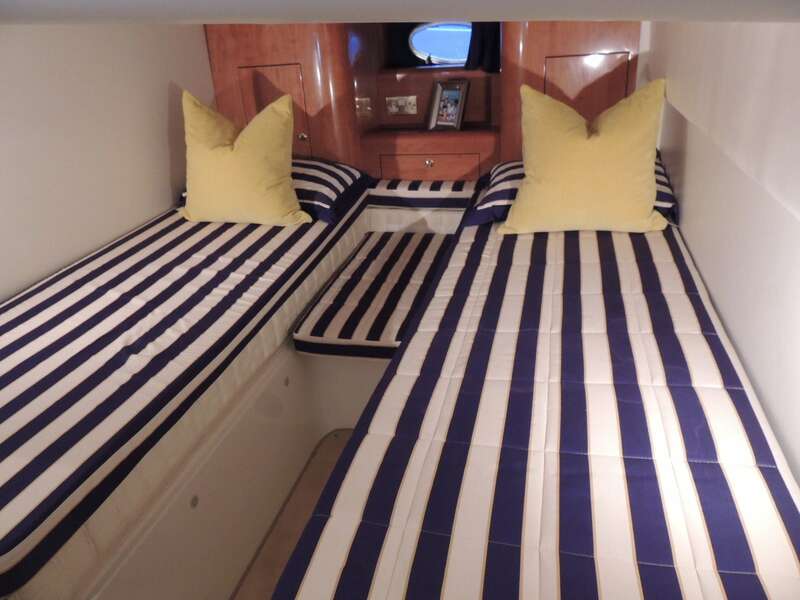 This boat is fully equipped with - Diesel cabin heating, Bow thruster, Passarelle, Auto Pilot, Trim tabs, Windlass anchor, Holding tank, cockpit canopy, New engine bay soundproofing. 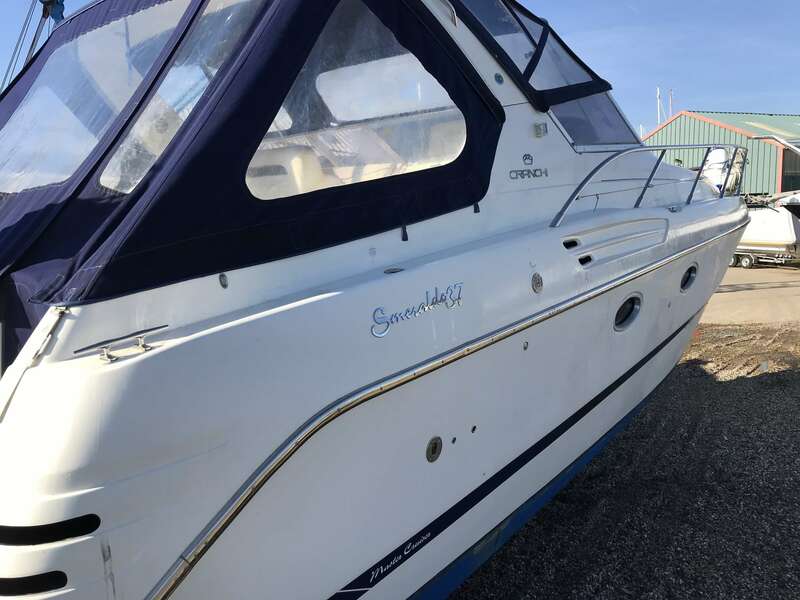 Full service history with the last service including legs/bellows and antifoul being completed Spring August 2018.